Tutubi knows most people will leave Metro Manila during Holy Week, but this time, he won't be one of them in escaping the summer sun of the metropolis to the beach or Visita Iglesia outside Mega Manila. He intends to stay in the big city probably to drive around to enjoy traffic-free thoroughfares. He asked around friends for schedules of SM Malls operation in Metro Manila, perticularly SM City North EDSA and SM Megamall where his friends work. Robinsons Galleria, Robinsons Place Malate and Forum Robinsons (Pioneer) are all closed except Robinsons Tagaytay (similar to SM baguio) which is open and on regular mall hours. 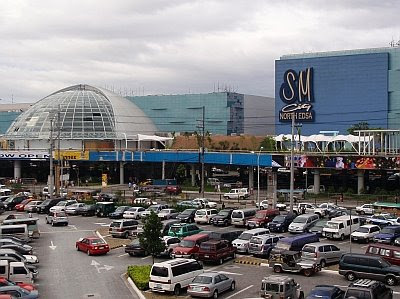 Some SM Malls, mostly those outside Metro Manila, have free parking. Others have flat parking fee from PhP40.00 - PhP45.00 for covered parking and PhP20.00 - PhP25.00 for open parking. thanks for this information!! very helpful.. keep it up! indeed very informative..i was wondering what were the mall schedules during the holy week..so i did a search and found this blog listed..again, many thanks! is sm iloilo open on holy thursday? anonymous, according to the news report of ABS-CBN, only SM Baguio is open on holy thursday and good friday, the rest are closed. very smart of you to write a blog like this..
woah.. very informative.. now.... what to do? moa is closed on thursday and friday? Thanks a lot for the info! I needed their schedules and you have everything that I needed here. Kudos! is sm mall of asia open on good friday? So meaning ung schedule sa Apr.2-8,2011 applicable this year?.. Thank you very much for the information. It's very helpful! God bless!